You can feel it. Not just winter, but the sense that a municipal election is in the air. Election day is October 27, 2014. And there’s already a lot of positioning and predicting. Everyone on City Council has committed to run again – except Ward 4 Councillor Jack Dennison. He’s undecided, or not saying. So let’s talk about Ward 4. For a map, click here: http://brianheagle.ca/ward4.php. What are your top 4 priorities for the next Ward 4 Councillor? 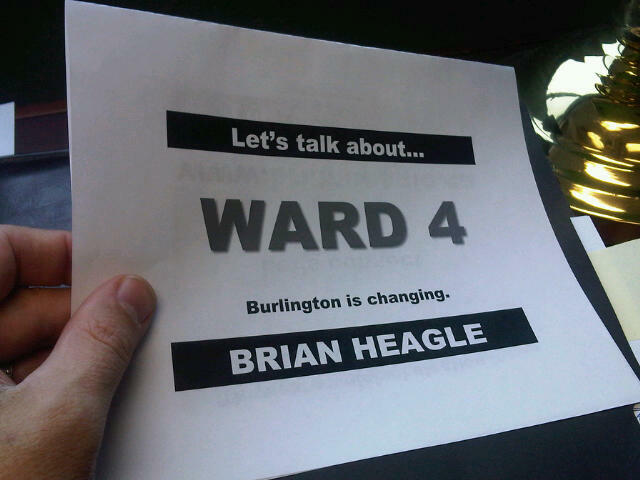 This entry was posted in 2014 Municipal Election, Ward 4 by Brian Heagle. Bookmark the permalink. Another “Other” added to the list: “Improve transit’. A topical issue lately.